Take the MATCH 100 Challenge! 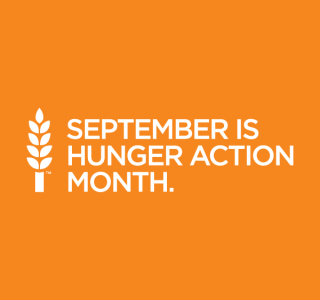 In honor of Hunger Action Month, we invite you to take the “MATCH 100” CHALLENGE – NOW! Gaithersburg HELP has received an AMAZING offer to match every individual $100 donation* made during the month of September, dollar for dollar, up to $10,000! Spread the word and encourage your colleagues, friends and family to show their support for Gaithersburg HELP programs. Help us earn $10,000 by donating $100 TODAY! Be sure to select “Other” for the Program you would like to support. Then, type “MATCH 100 CHALLENGE” in the space provided. All checks should be made payable to Gaithersburg HELP. Please date the check between September 1st and September 30th and write “MATCH 100 CHALLENGE” in the Memo line. * While we appreciate all donations, the anonymous donor has specified that only the first $100 from each individual donation will apply to the matching challenge.